SELECT on system tables to see the permissions. In this post I explain the last two options and the pros and cons they have. For this example I use AdventureWorksDB that can be found at Codeplex. To test the queries in both methods, I’ll create 2 logins and one user for each login. Then I’ll give different permissions to the users to test it. GRANT EXECUTE TO Bob    -- NOTE: This doesn't give execution rights to Table-valued functions! The function fn_my_permissions is very useful when you want to know the currents user’s permissions. Can be used for server, database or object basis. When used for objects, you must specify the object you are asking for in the first parameter. Don’t appear the explicit DENY options. Sometimes that’s interesting. I like to give this query to other IT people to let them know what they can do and to check the rights they have. Shows effective rights. 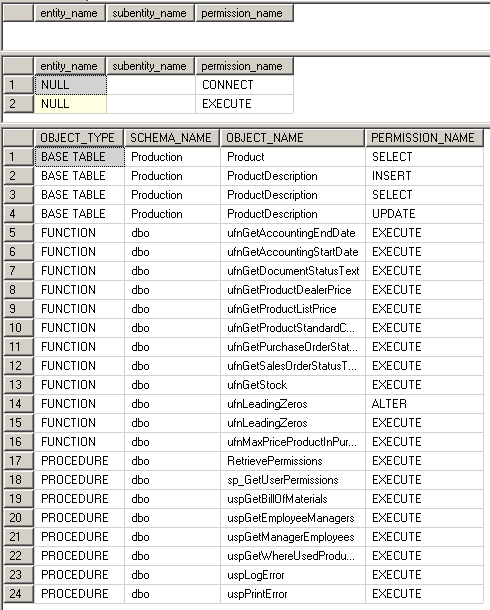 In our example, Bob has GRANT EXECUTE on all stored procedures and functions in all database, except the in ‘HumanResources’, so this query only shows the SP and functions it has rights on. And don’t show the DENY. You need IMPERSONATE right on the user you want to check rights. In case you need to check all users, you should make an iteration and IMPERSONATE each user. You can also test it with ALICE and you will see that she has SELECT rights to TABLES, FUNCTIONS and VIEWS. 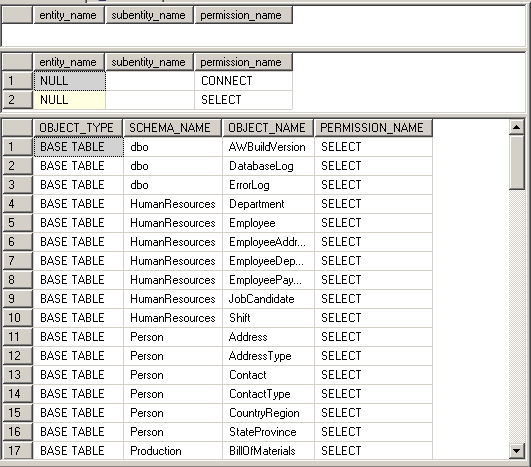 All the SELECT permissions are due to db_datareader database permission. The following SELECT it’s very helpful when you want to get all explicitly granted or denied permissions in a database. Don’t need IMPERSONATE grant to check it. 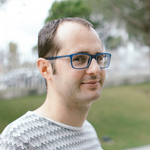 Some queries are based on the script Retrieve Database Object permission scripts and Role members scripts written by Gokhan Varol. The source code of this example can be found here.